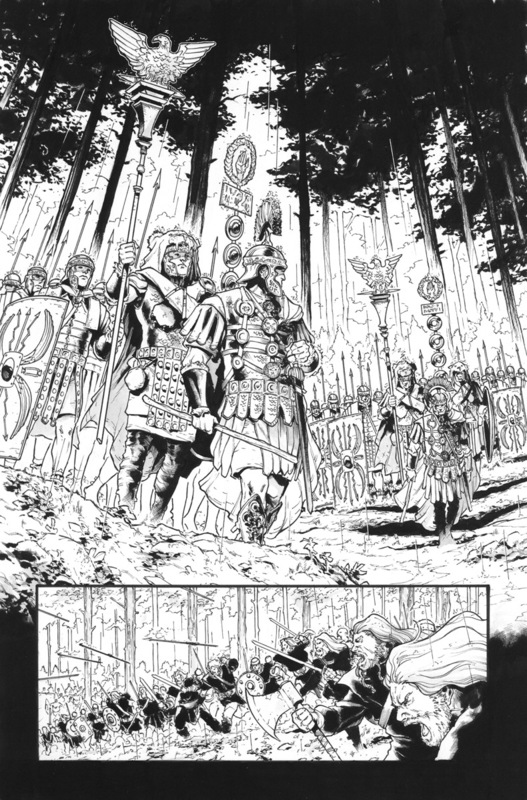 May 16 First look at Valiant's "Britannia: Lost Eagles of Rome"
Detective stories are great. Historical fiction is great. Put the two together? I'm betting it's going to be pretty great, and that's just what Valiant is betting on with Britannia: Lost Eagles of Rome. Written by Peter Milligan and illustrated by Robert Gill, the series takes place thousands of years in the past and follows two unlikely allies as they try to recover the stolen Roman standard, only to get caught up in even more trouble than they'd anticipated. Check out the press release below, as well as a gallery with a first look at Gill's interiors and covers from Cary Nord, Brian Thies, and David Mack. BRITANNIA: LOST EAGLES OF ROME #1 – On Sale July 25th! As first revealed today on The Beat, Valiant is proud to present your first look at BRITANNIA: LOST EAGLES OF ROME #1, the incendiary opening salvo of an ALL-NEW EPIC SERIES and BLOODSTAINED JUMPING-ON POINT from Peter Milligan (Detective Comics) and Robert Gill (BOOK OF DEATH)! On July 25th, prepare yourselves for a perilous journey into the barbarian age as history’s first detective takes on another challenging case at the crossroads of magic, mystery, and monsters! On July 25th, master storytellers Peter Milligan and Robert Gill dive deep into BRITANNIA: LOST EAGLES OF ROME #1 for an all-new, self-contained entry point into Valiant’s critically acclaimed exploration of the ancient world – featuring covers from Cary Nord (Conan the Barbarian), Brian Thies (Star Wars: Legacy), and David Mack (Kabuki)! 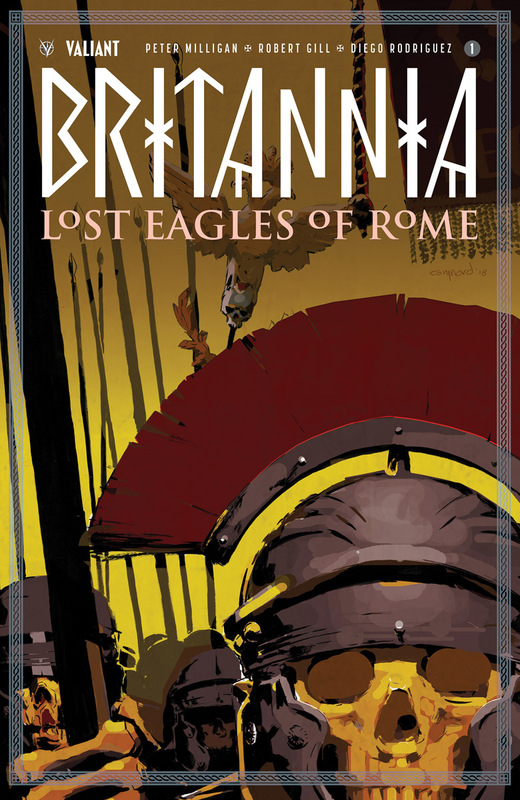 Britannia: Lost Eagles of Rome #1 will hit comic shops on July 25.